Howdy!! 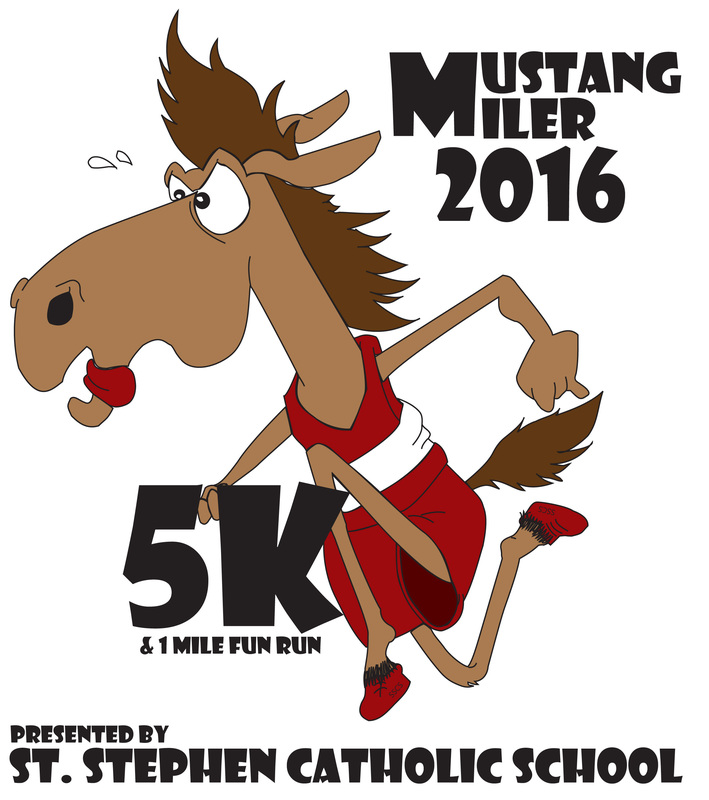 Join us for the 2nd Annual Mustang Miler 5K and 1 Mile Fun Run on April 23, 2016 hosted by St. Stephen Catholic School in Riverview, FL. Our event takes place at a great location right off of Bloomingdale Avenue in the Winthrop Plaza (right behind Ciccios and The Egg & I). The race course winds through the Winthrop neighborhood and loops back to the starting line. The event also includes a 1 mile fun run for the children. Chip timing is included for the 5K race. Awards will be giving to various age group winners in the 5K. Update: Any new registrants will not receive a T-shirt (we reached our max count)! Thank you! Race day registration and packet pick up is also available beginning at 5:00 pm on April 23, 2016 at the event location. 1 Mile Fun Run starts at 6:00 pm. 5K Race starts at 6:30 pm. Everyone is welcome, so grab a friend and come on out for this year's event in support of our school! !